Do you love adventure, nature, and culture? Are you an adrenaline junkie who prefers cruising on a motorbike to sitting on a bus? 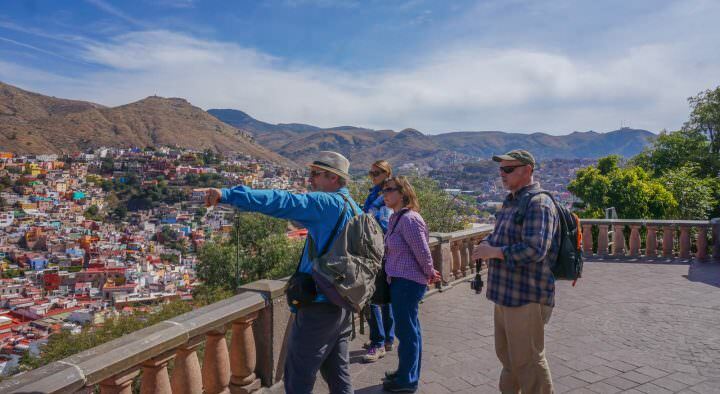 Do you enjoy exploring off-the-beaten-path destinations that aren’t full of tourists? 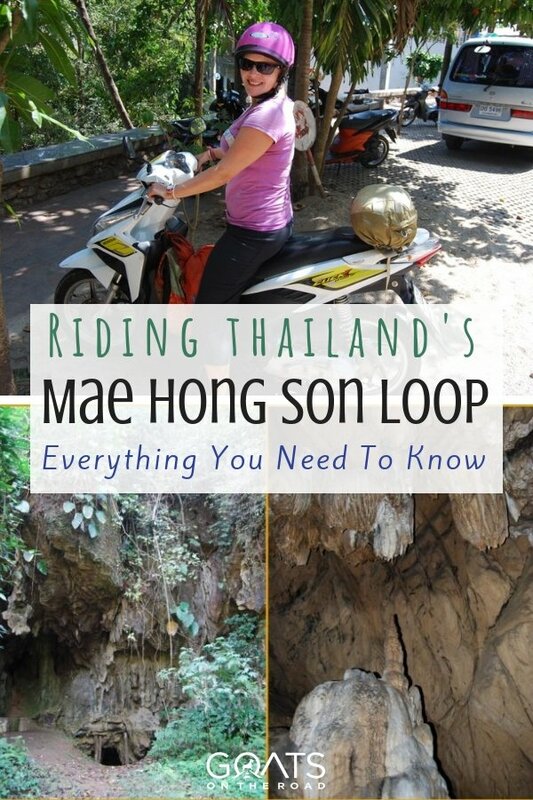 Then travelling along the 1,864 curves of the Mae Hong Son loop in Northern Thailand is the trip for you! Riding along the Mae Hong Son loop is a favourite activity of backpackers along the famed Banana Pancake Trail in Southeast Asia. The loop starts and ends in Chiang Mai. Along the way, you’ll visit beautiful national parks, remote villages, and one of the coolest little hippie towns in the world. One of the many scenic towns along the loop. Are you ready to jump on the bike and head out for the adventure of a lifetime? 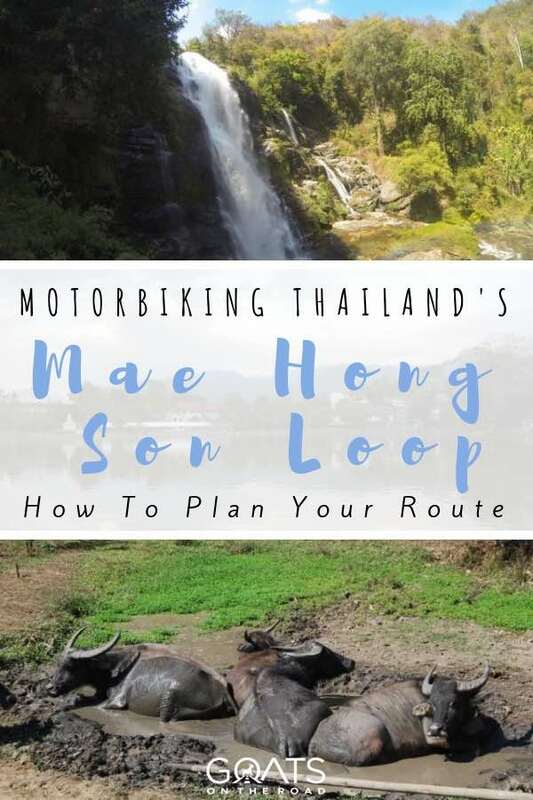 Read on for an epic guide on how to tackle the Mae Hong Son loop and where to stop along the way. First things first, though – you’ll need some wheels. Take one look around Chiang Mai, and you’ll quickly notice that just about everyone there has a motorbike. 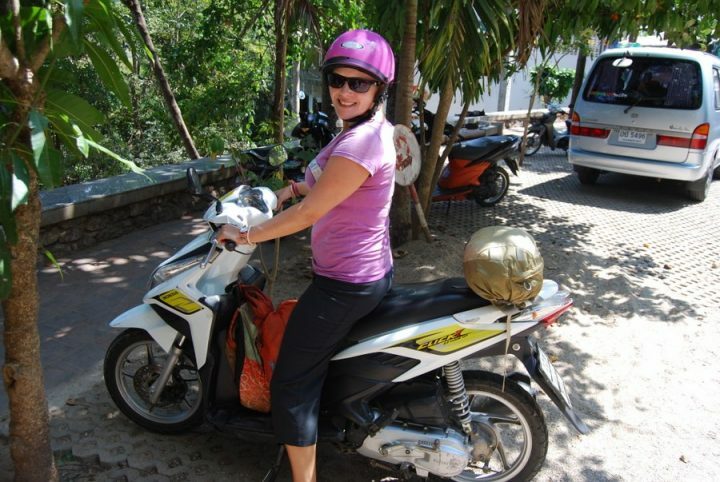 As such, it’s quite easy to find a decent bike to rent to take you on the Mae Hong Son loop. While you may be tempted to go with the cheapest option out there, you’ll want to ensure you have a quality bike for this journey. It’s a long trip on a long, winding road through the mountains of Thailand. Having a good chariot is important for this one. From personal experience, I can recommend Mr. Mechanic. We got our bike from them before we set off on the Mae Hong Son loop and it was a smooth process. When we had to replace a part on the road, they reimbursed us as soon as we got back to Chiang Mai. Mango Bike Rental also comes recommended from other travellers. A simple 125cc scooter ready for the trip. Wherever you get your bike from, be sure to check for damage and take the bike for a test drive. You’ll also want to grab some quality helmets from the shop. It’s definitely worth it to shell out a few extra Baht for the insurance as well. If anything happens out on the road, you’ll want to make sure you’re covered. As far as cost goes, it all depends on how long you rent the bike for. If you’re just renting by the day, a decent scooter usually costs around $8-12 per day. You can get a discount for a week and an even bigger one for a month. 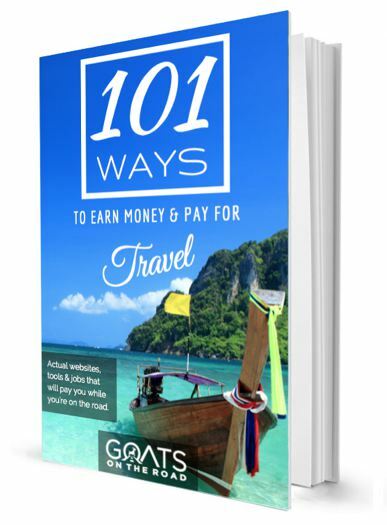 You can get a motorbike for a month for about $75-80, which is a great deal and takes care of all your transport needs around Northern Thailand. As this is a loop, it really doesn’t matter which direction you go in, as you’ll eventually end up back in Chiang Mai either way. I’d recommend heading south first so you can make Pai your last stop. It’s the kind of town that you’ll probably end up wanting to linger in – my wife wanted to move there after just one day – so it’s nice to leave that for the end of the trip. Most of the bike shops in Chiang Mai have a really good map of the Mae Hong Son loop that I highly recommend picking up. You don’t always get cell phone service up in the mountains of Thailand so it’s good to have an actual copy of the map on you. How Many Days On The Mae Hon Song Loop? This really depends on you and how comfortable you are on the bike/how much time you have to spend in Northern Thailand. Some people tackle the entire Mae Hong Son loop in as little as four days, but that’s far too rushed if you ask me. You’ll spend a majority of your time sitting on the bike and will be exhausted with a very sore bum upon your return to Chiang Mai! 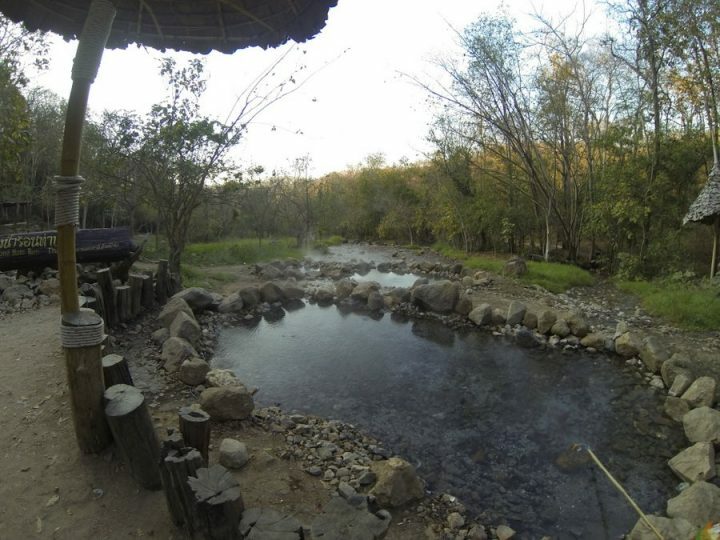 We spent ten days riding the loop, but five of them were in Pai. I’d say that 6-7 days is a good amount of time to be able to explore each destination and not wear yourself out. If you’ve got the time, it would be awesome to stay out on the road for two weeks and really dive into each place. There’s so much to do along the loop that you can easily fill that time, plus you could have a few chill days off the bike as well. 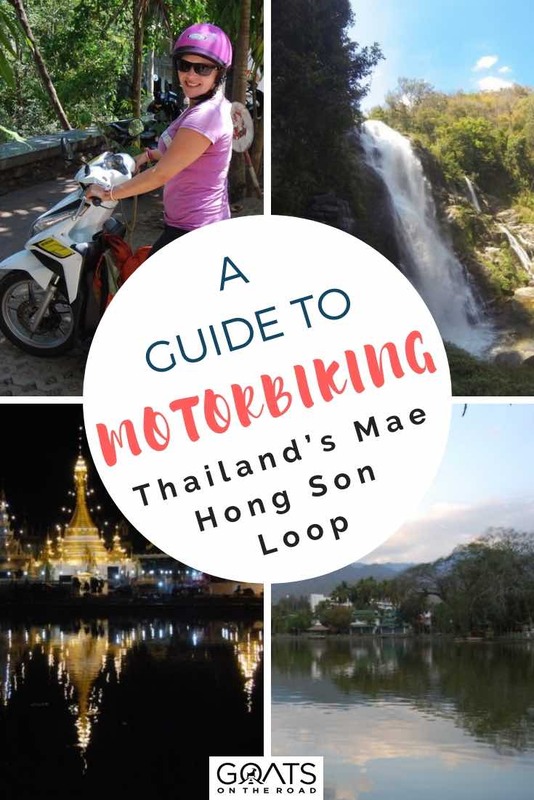 Now that you’ve got a little background information about the Mae Hong Son loop, let’s take a closer look at the fascinating destinations you get to stop at along the way and what there is to do there. Heading south out of Chiang Mai, it’s a pretty straight shot until you begin climbing the hill up to Doi Inthanon National Park. It’s about 100km from the city to the park, which will take you a couple of hours with a stop or two. Be warned that the temperature drops considerably once you head up into the mountains, so you’ll want a jacket and maybe some gloves on for the ascent. 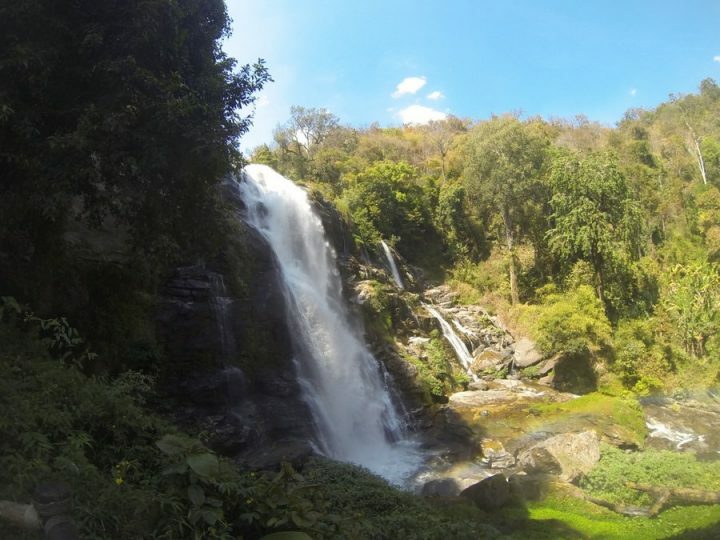 Inside Doi Inthanon, you’ll find some massive waterfalls, plenty of hiking trails, and even the highest point in all of Thailand. The park is actually referred to as the “Roof of Thailand” because of this! To be honest, you don’t get a great view from the point, but it’s still cool to snap a picture of the sign and say you went to the top of Thailand. The highest point in Thailand! 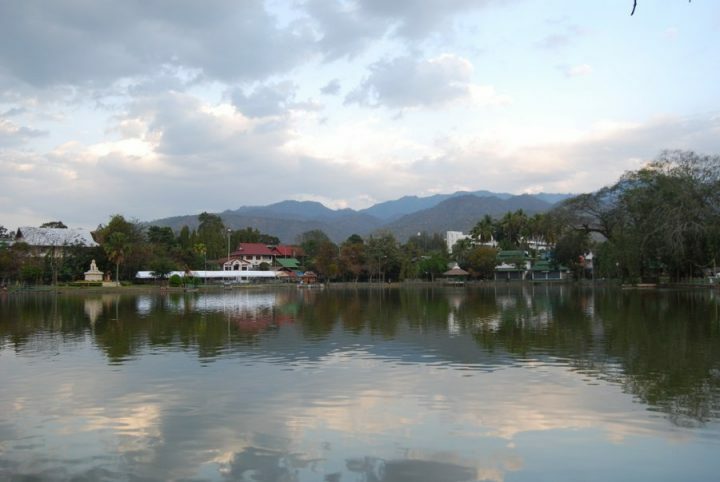 Be sure to check out the royal chedis, which boast fantastic views of the mountains. They were built in honour of the late king Bhumibol’s and his queen’s 60th birthdays, in 1987 and 1992 respectively. While there are some good trekking opportunities in Doi Inthanon, you’ll have to get moving unless you have 10 days or more to do the Mae Hong Son loop. Head down the mountain before it gets dark and cruise to the town of Mae Chaem. Here you’ll find a few hotels and restaurants where you can grab dinner and catch some sleep before another big day. If you’ve got more than a few days to ride the Mae Hong Son loop, you can head further south to the town of Mae Sariang. This ride is just over 150km and will take you 4-5 hours depending on how many times you stop. There are plenty of scenic overlooks along the loop where you can pull over, stretch your legs a bit, and enjoy the view. Mae Sariang is a quaint little mountain town that’s got enough going on to warrant spending a few nights here. There are hot springs, hiking trails in national parks, and some stunning Buddhist temples to visit. Due to the popularity of the loop, there are quite a few options for accommodation and dining in town these days. Next up on the loop is the city after which it was named. Mae Hong Son is the capital city of the province by the same name, and it’s a good place to stay for a night or two to take a break from the road. If you leave early enough, you can take a small detour to the town of Khun Yuam to grab some lunch and walk around. In total, the ride up to Mae Hong Son is about 150km and will take another 4-5 hours. Mae Hong Son is a great jumping off point for longer treks, and pretty much every travel agent in town can set you up on one. 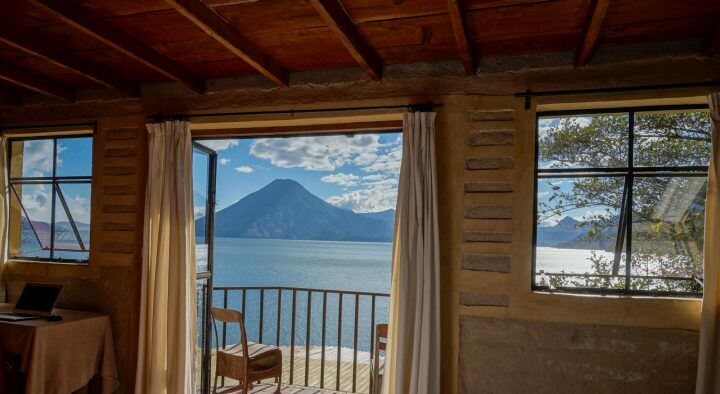 You have a variety of options, from a single day trek to 3-night trips. I highly recommend going on a multi-day trek at some point in your Northern Thailand travels, regardless of where you decide to do it. If you’re not embarking on a trek, there’s still enough to do here to keep you busy. Check out the colorful temples on the small lake in the centre of town, and visit another temple up on the hillside to enjoy a panoramic view of town. In the evening, there’s a nice little night market full of cheap and delicious Thai food plus a few bars where you can chill out and meet fellow travellers. Once you’re ready to head out of Mae Hong Son, there are a few fun stops along the way to Soppong. While the “Fish Cave” is kind of a silly tourist trap, it’s fun enough to get off the bike and check out. 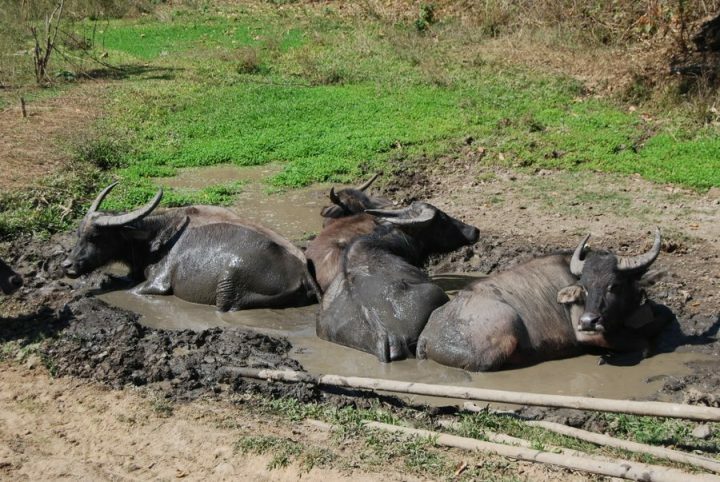 You can also take a breather at a mud spa, where you can get a nice mud mask on and soak your feet in the hot water. Our next stop on the Mae Hong Son loop is the mountainous town of Soppong. It’s also known as Pang Mapha, so don’t get confused if you see both names used. This town is famous for its abundance of caves and hill tribe villages. With a few days here, you can explore them both. 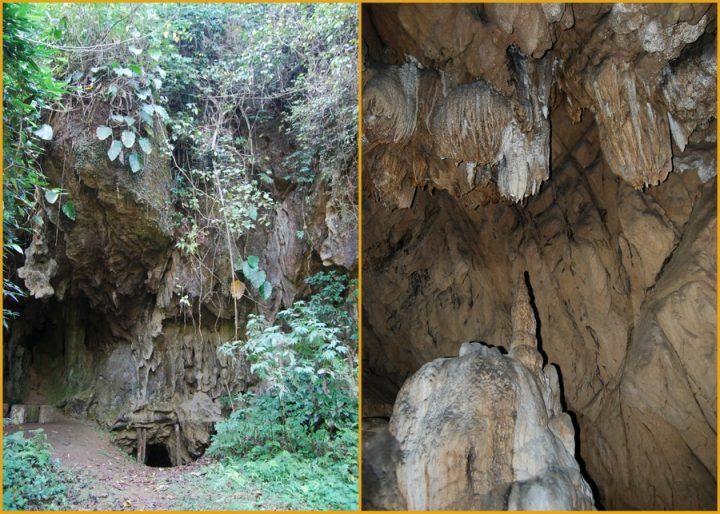 The highlight of Soppong is Tham Lod, or the Coffin Cave. The name comes from the stone-age coffins that are inside the cave. Come here at sunset to witness the spectacle of thousands of bats flying out for the night and thousands of swifts flying back in. Trekking possibilities are pretty much endless in this area. 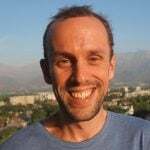 I recommend staying at the Cave Lodge, as they run plenty of trekking tours and can provide you with very detailed maps to do some shorter, easier walks on your own. They also cook up some delicious Shan cuisine, and the owner John has some incredible stories about his decades spent in the area. He’s actually responsible for discovering a lot of the caves in Soppong, hence the name of his guesthouse. Many a backpacker comes to Pai and immediately falls in love with Pai. It happened to us, and it will probably happen to you! This beautiful Northern Thai town has a laidback vibe with a vibrant art and music scene, there are numerous fun things to do in Pai to keep you here for a while\. It’s an awesome town to base yourself in for a few nights of exploring all that the area has to offer. Some of the must-do things in Pai include hiking in the canyon, soaking in the hot springs, visiting the Chinese village, and tubing down the river. 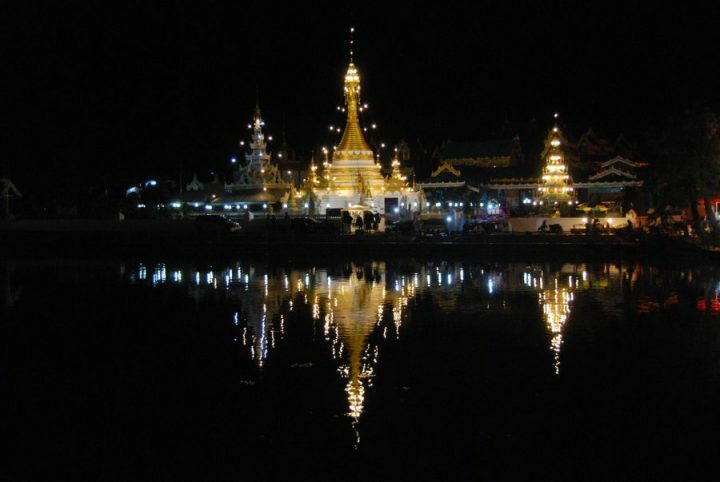 It being Northern Thailand, there are also plenty of Buddhist temples and trekking options as well. A nice soak in the hot springs. After a big day out exploring, it’s fun to hit the night market for some tasty street food. It’s not just Thai food here, as we had some of the best baked potatoes we’ve ever eaten in Pai. There are plenty of bars in town, many with live music. If you’ve been on the Mae Hong Son loop for a while, you’ll likely be seeing some familiar faces by this point in the journey. Isn’t that half the fun of travel? It’s great making new friends on the other side of the world. Once you’ve had your fill of Pai, it’s time to jump back on the bike and tackle one of the toughest stretches of the Mae Hong Son loop. The road from Pai to Chiang Mai has over 700 curves and many of them are quite steep. Good thing you’ve been on the bike practicing for several days. It’s about 150km to get back to Chiang Mai, which you can do in around 4 hours assuming you make at least one stop. When you get back to Chiang Mai, it’s time to park that bike and go out for a celebratory drink. You did it! You rode the epic Mae Hong Son loop. Congratulations on crossing one of the coolest experiences in Southeast Asia off your list. 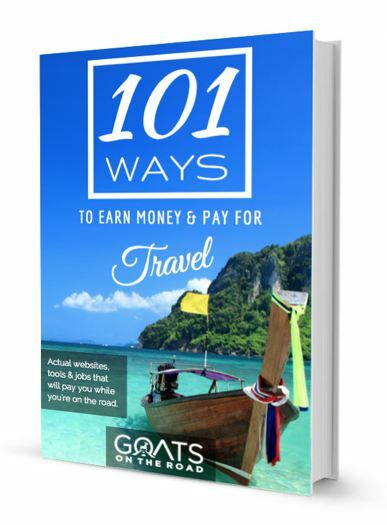 I live in Thailand and I barely traveled in my own country! 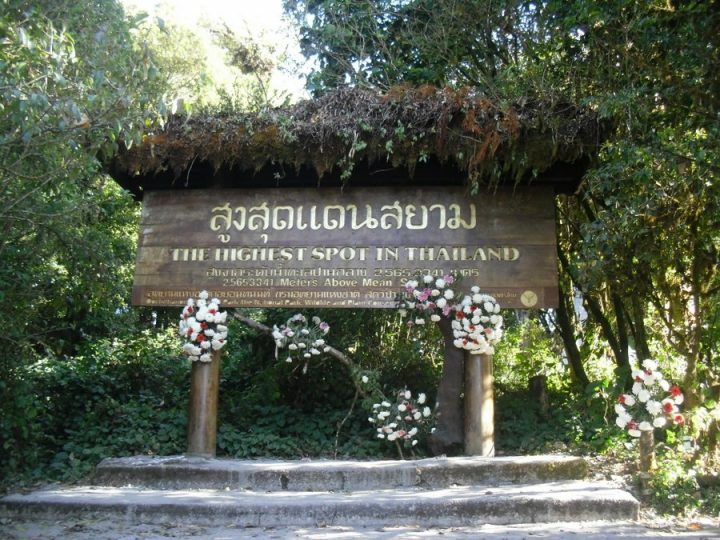 In the loop, I’ve only been to Doi Inthanon National Park, that is it! Haha, maybe I should start exploring my own country! Thanks for sharing this, Sasha!